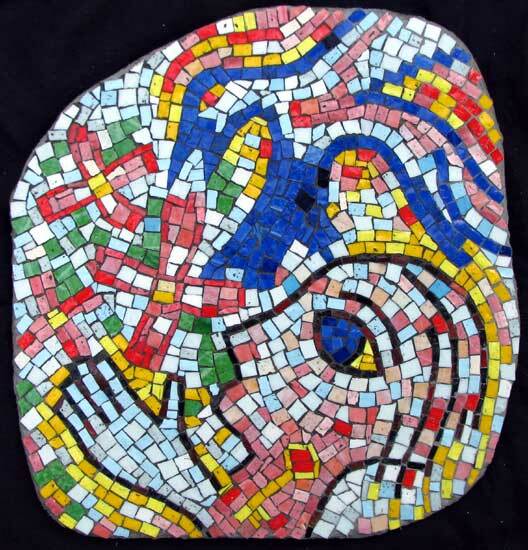 “Bluejay” contemporary figurative mosaic. smalti on concrete board. about 20 in.